Thank you so much for doing a beautiful job on my chair, it looks wonderful, I'm very pleased. The fabric looks great. It was a pleasure meeting you and doing business with you. Please stop by if you can and see how my chair looks. Again, thank you for your services and wonderful work. 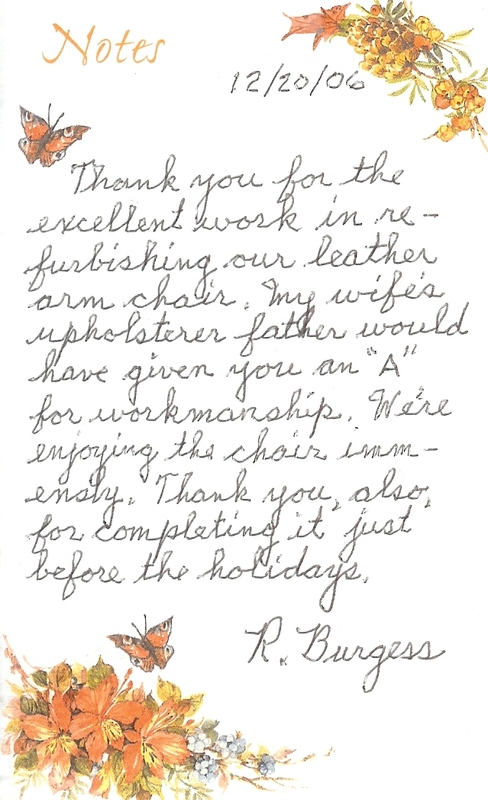 Thank you for the excellent work in refurbishing our leather arm chair. My wife's upholsterer father would have given you an "A" for workmanship. We're enjoying the chair immensely. Thank you, also, for completing it just before the holidays. 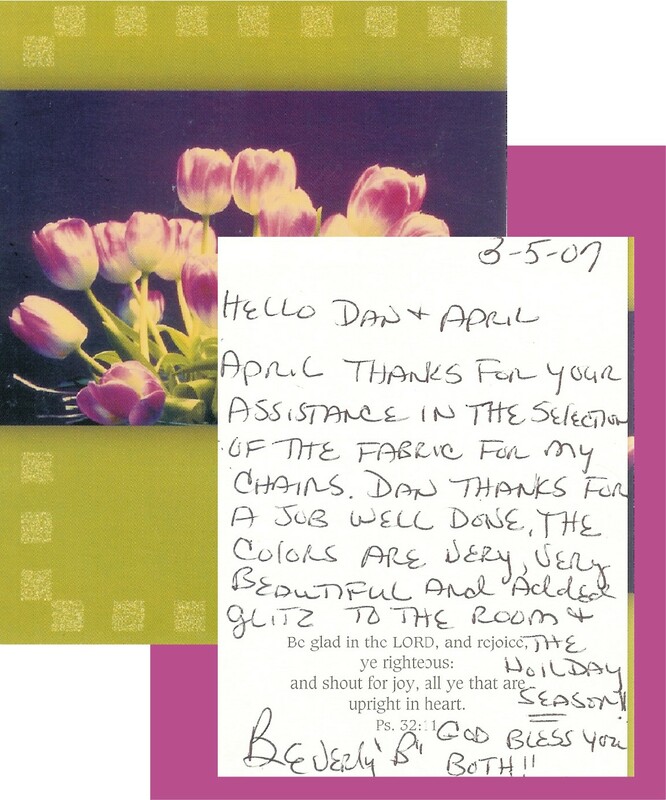 April, thanks for your assistance in the selection of the fabric for my chairs. Dan, thanks for a job well done. The colors are very, very beautiful and added glitz to the room and the holiday season!! Just a note to let you know how satisfied we are with the upholstery job that you did on the cushions for our kitchen chairs. We were a little apprehensive that they wouldn't be a good fit, but they are perfect. 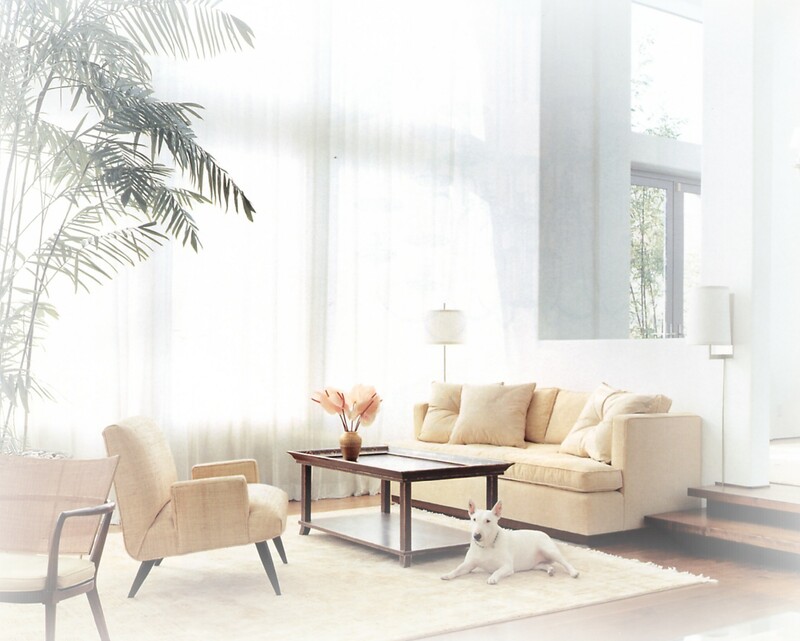 We have had some experiences in the past that were unpleasant in dealing with home improvements, etc. This has led us to sometimes expect a hassle. 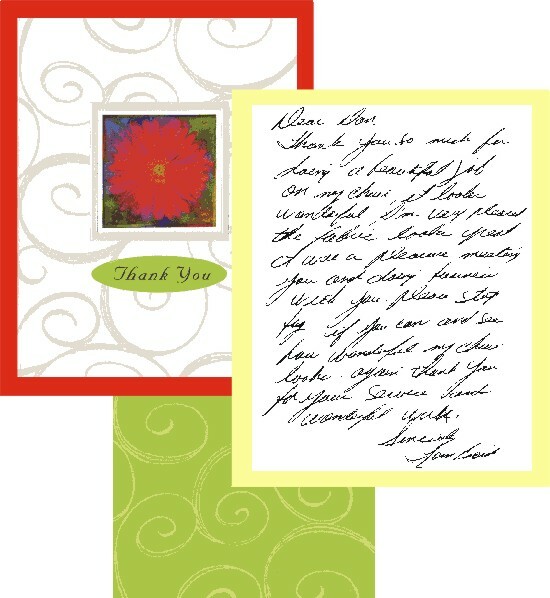 It was a pleasure doing business with you and we will be sure to recommend you to our friends and relatives. 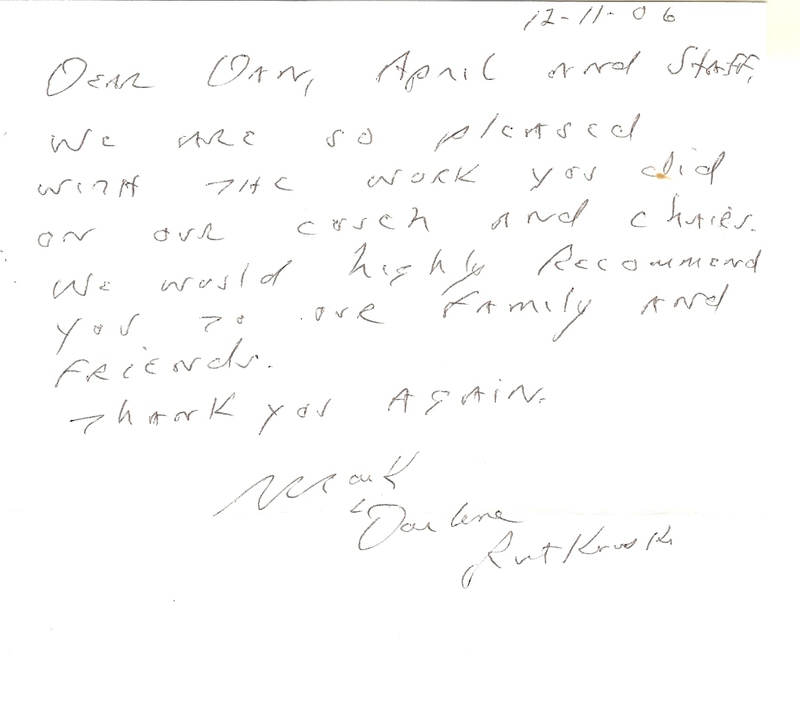 We are so pleased with the work you did on our couch and chairs. 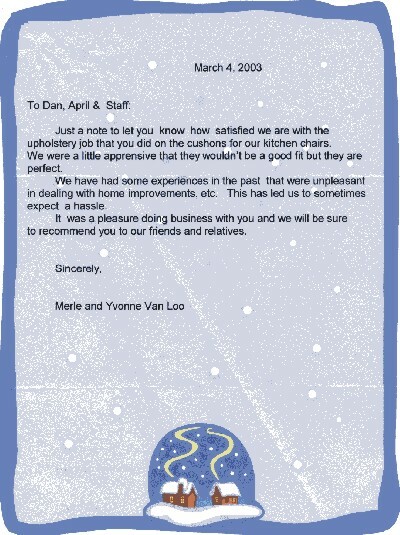 We would highly recommend you to our family and friends.